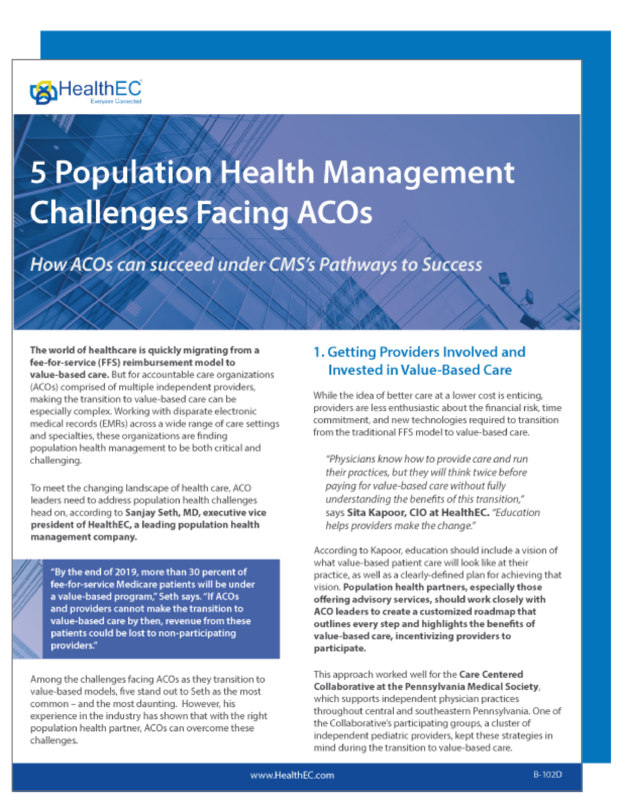 Is Your ACO Positioned to Succeed Under CMS's Pathways to Success Initiative? To meet the changing landscape of health care, ACO leaders need to address population health challenges head on. The world of health care is quickly migrating from a fee-for-service reimbursement model to value-based care. But for accountable care organizations, making the transition can be particularly complex. Request our article to learn more.